Meet Tom, an Emergency Medical Technician for the London Ambulance service. It is Tom who shows up to pick up the drunk tramp, the heart attack victim and the pregnant woman who wants to go to hospital in an ambulance because she doesn't want to call a taxi. Tom is also a man who rails against the unfairness of it all, who bemoans the state of the NHS and who ridicules the targets that state that if the ambulance arrives within eight minutes and the patient dies it is a success and if the ambulance arrives in nine minutes and the patient's life is saved it is a fail. Welcome to the topsy-turvy world of the emergency services. From the tragic to the hilarious, from the heart-warming to the terrifying, Blood, Sweat and Tea 2 is packed with fascinating anecdotes that veer from tragic to hilarious; heart-warming to terrifying and Tom deftly leads the reader through a rollercoaster of emotion. 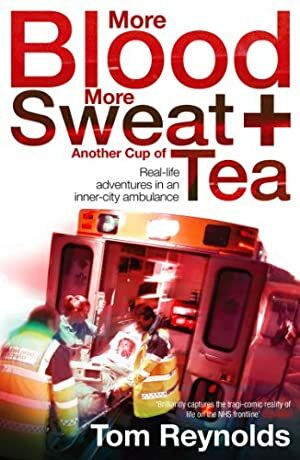 In the brilliant and bestselling Blood Sweat and Tea Tom gives a fascinating - and at times alarming - picture of life in inner-city Britain and the people who are paid to mop up after it. Captures the thrills, heartbreak and frustrations of medicine in a way that resonates with readers around the world. Log In to track Tom Reynolds on eReaderIQ. to be notified each time the price drops on any book by Tom Reynolds. to stop tracking Tom Reynolds. We started tracking this book on February 22, 2011. The price of this book has changed 90 times in the past 2,985 days. The lowest price to date was £0.48 last reached on October 12, 2011. This book has been £0.48 one time since we started tracking it. The highest price to date was £5.49 last reached on March 4, 2015.